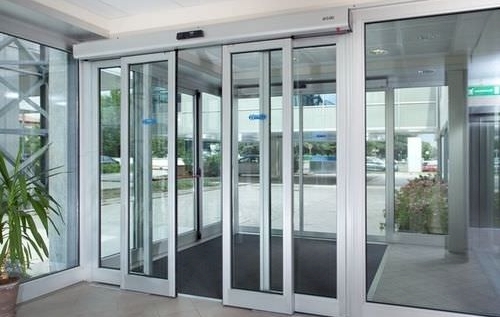 Tripwire supply and install a wide range of automatic doors, including sliding doors, swing doors and revolving doors. Perfect for entrances to retail, commercial or industrial premises, our doors are made to your exact specification and can be controlled using our wide range of activation devices. There are a host of benefits for businesses having automatic doors installed that will both save them money through heat savings and make them money too, in the form of increased sales. Elegance: Sliding doors impart an element of elegance, functionality and modernity to the business. They add an aesthetic appeal to the premises. The glistening broad glass panes of automatic sliding doors are sure to assist customers and visitors. Customer-friendly: Sliding glass doors are particularly helpful for the physically disabled and aged, parents carrying babies in their arms or wheeling them in the strollers, customers carrying something in one hand while the other is preoccupied with the mobile phone, and those exiting the outlet with purchases in shopping carts. 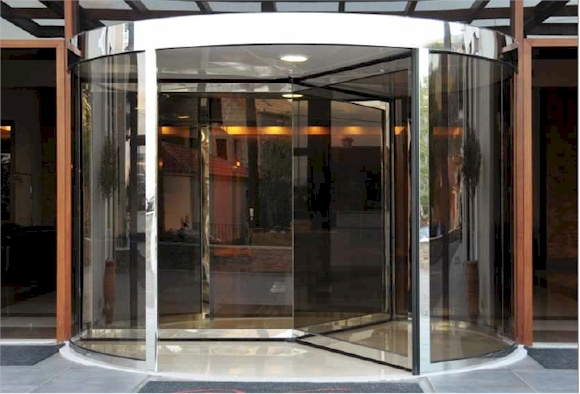 Environment-friendly and cost-efficient: Imagine a conventional old fashioned door being pushed open and slammed shut as a crowd of visitors enter and leave throughout the day. It creates unwanted disturbances besides allowing large amounts of cold drafts and dust entering the premises when the doors are left open, affecting temperatures in the offices. Sliding doors are energy-efficient and cost-effective. They allow ample daylight indoors, increase visibility and save on the electricity bills as well. They are rightly considered to be the green inlets in your business premises. They invite the people to step in: The constantly opening of sliding doors in retail outlets allow a glimpse to the passers-by giving them an incentive to drop in and check out the offerings. Sometimes those waiting around tend to come in just to while away the time going around the store. Sliding doors offer welcome to visitors compared with the shut conventional doors that need to be pushed apart to enter the properties. Convenient for larger merchandize: Sliding doors are quite large—generally twice as large as the standard entry doors. They allow not only the incoming merchandise for the store, but also enable customers to take out big size purchases such as hutches, huts, Christmas trees, furniture items such as couches, beds and many other similar sized things. Although glass is regarded fragile and brittle, the automatic sliding glass doors are made of toughened material which is almost five times stronger than normal safety glass doors. Automatic sliding doors are not just transparent but secure as well.